The Cross House was built in 1894, and with gas/electric lighting. At some point however ALL the original lighting was removed from the house. I am waiting for a time-travel app on my iPhone so I can go back in time and slap the person who made this decision. 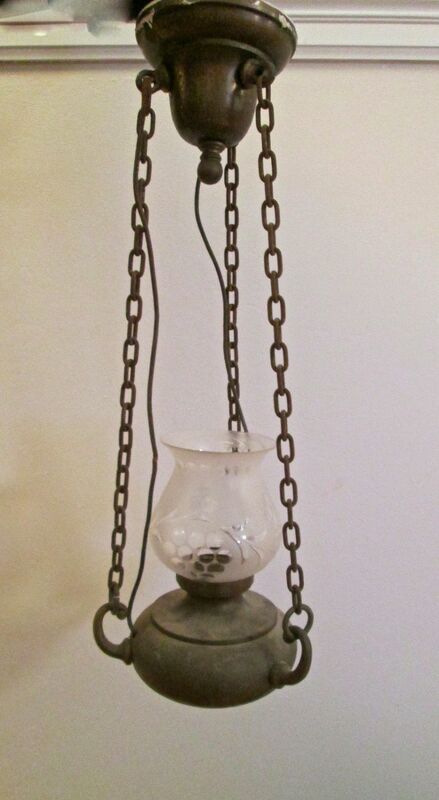 Even though I restore vintage lighting for a living, I specialize in lighting from about 1915 to the 1970s. 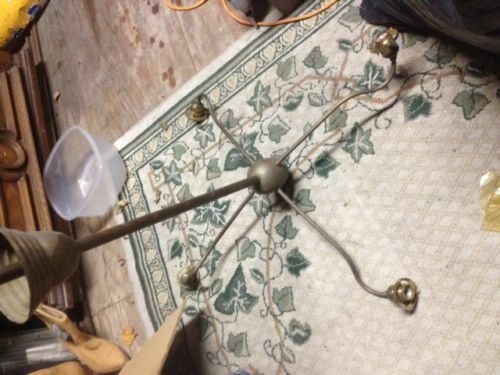 Lighting from the 1890s? I know essentially nothing about it. However, I do love a learning curve. This is the type of chandelier which would have graced the main rooms in the Cross House. Note the combination of gas/electric (the gas faces UP; the electric DOWN). The problem with such fixtures is that they are crazy expensive. Like $5,000 to $8,000. Well, no way! I am not going for a museum-perfect decor. Over a century has passed since the Cross House was built and this passage of time will be reflected in how I decorate the interior. So, do not be alarmed if a Sputnik chandelier lands in one room. 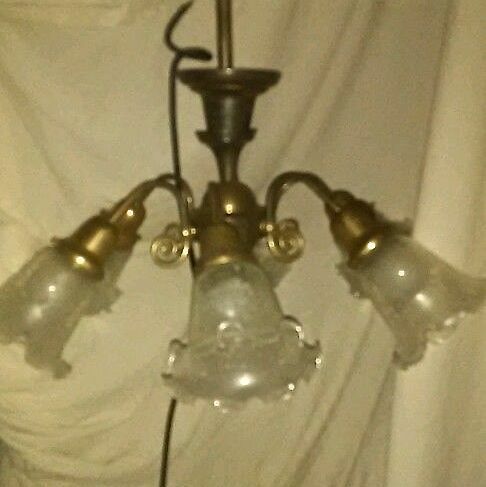 For the dining room, I purchased a George III-style crystal chandelier. It is BIG and scaled for the huge room. It was also a bargain at $800. Still, I look forward to having most of the lighting reflect the age when the house was built. While I cannot afford the scale of fixtures appropriate for the living room, dining room, and library, it seems that smaller fixtures are often amazingly affordable. A $30 find. 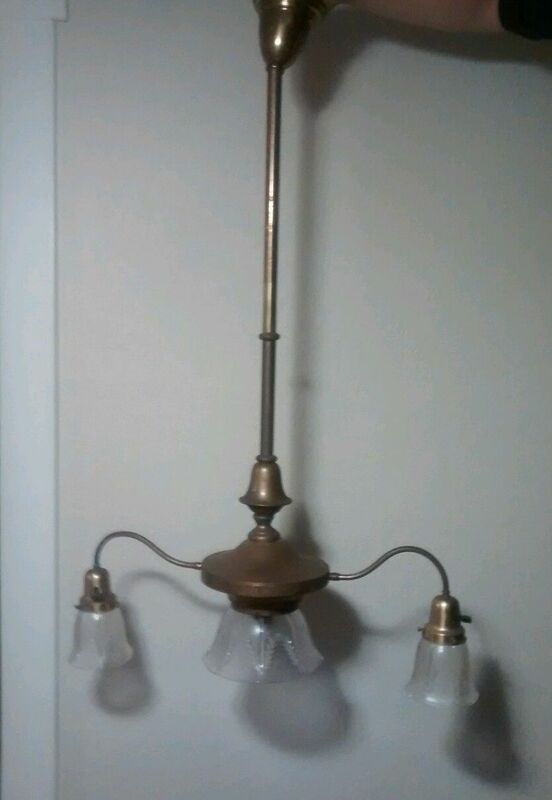 I do not think the fixture is vintage. Or maybe it has just been over-restored. But for $30? I am thrilled. This will go in a hall or bathroom. After I remove the gloss lacquer. This is certainly vintage. I thought it was 1890s, but Bo Sullivan dashed my happiness by pointing out the error of my assumption. He believes the fixture is circa-1905. Sigh. I purchased this for the Long Bedroom. The price was, for me, a scandal: $550. Another $30 find. The fixture is unusual in having six arms. This, too, is likely more 1904 than 1894. But for $30 I will overlook this. A $35 find. It is hard to appreciate the fixture from the bad image. I purchased it for the center of the kitchen. The kitchen needed something very simple. I plan to use these star shades on most of the fixtures. I have a bunch of star shades. The house has a star motif throughout as evidenced in the trim and hardware. So I thought continuing the theme would be cool and appropriate. I planned to put one over the kitchen sink, and one over the stove. With star shades. 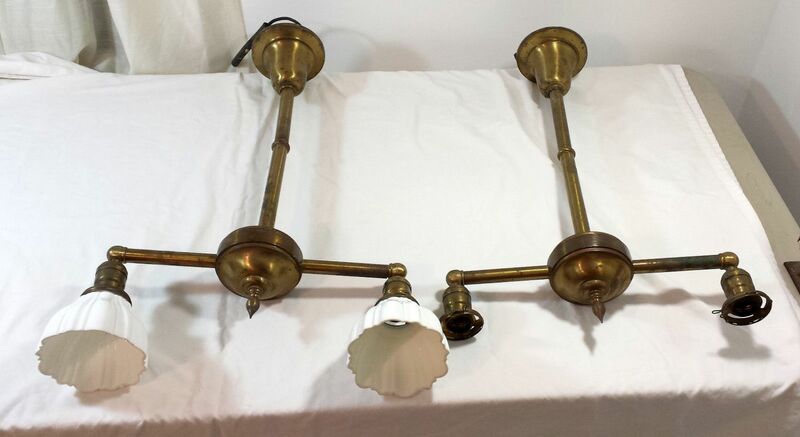 The fixtures complement the four-arm fixture shown above. A $150 find. NOTE: The ceiling canopies have settled down. I think, think, these are circa-1915. I plan to use them on the first-floor of the carriage house, which has a wholly circa-1915 interior (after it was converted from a place for horses). A $225 find. Ouch. I purchased this for the butler’s pantry. A $66 find. 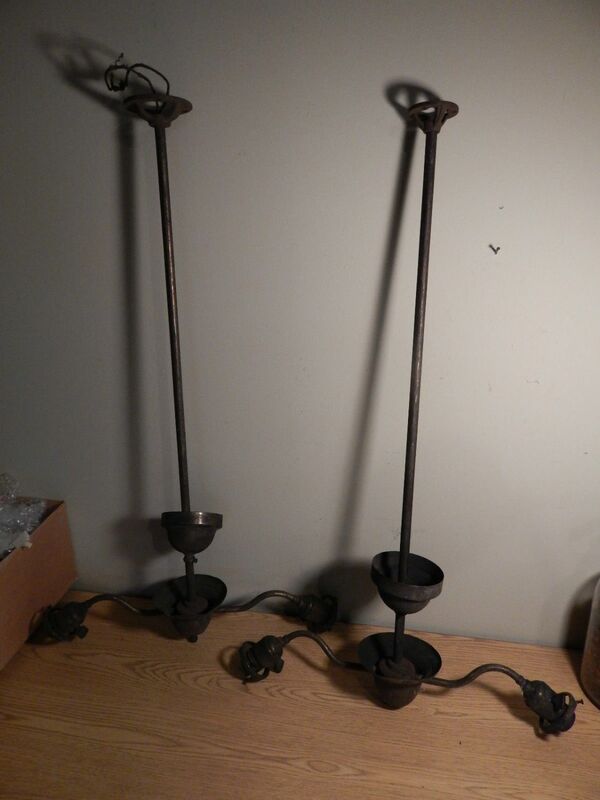 These five sconces are also likely circa-1904. No matter, I plan to use them in the four-story servants stair tower. I like that each landing will have matching lights (with star shades). A $103 find. Oh, finding such a matched set ain’t easy. I got three of these. VERY cool. Circa-1904? I plan to use them in hallways. A $250 find. 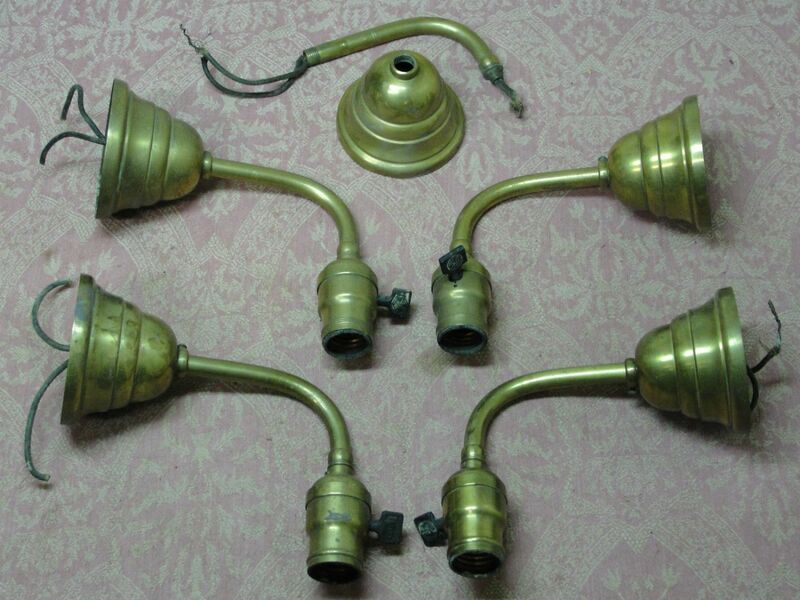 So, as you have noted, I have not yet actually purchased ANY lighting which can be confirmed as being from the early 1890s. I seem to be finding lighting from a decade later. 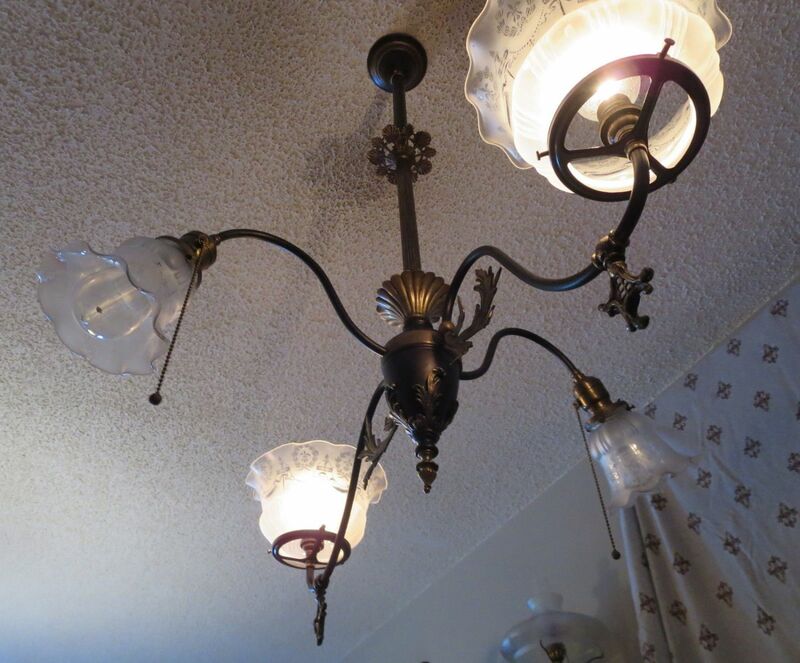 I assume that as I learn more, over the years all the above imposteurs will be replaced with confirmed 1890s fixtures, and I will sell the above fixtures. Save the last image. I love this set. NOTE: I have an update on this post. So when you talk about a Sputnik chandelier, would that also be temporary to later be replaced with something period correct? 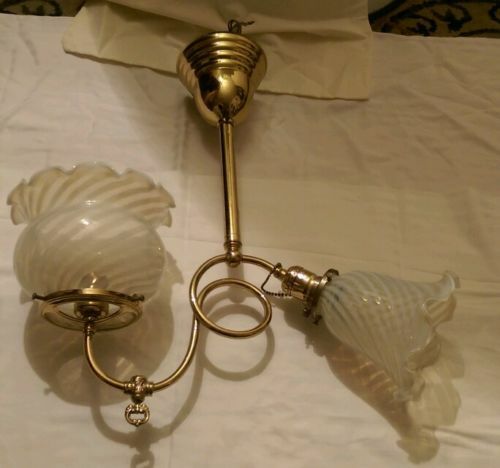 Great finds and future replacement plans, though I would also keep the fixture in the Butler’s Pantry, I like it too. Did you get all you need? I have some that I will not be using. Gas lights, some all gas, some gas electric. A box of parts, and even a number of the arms that were used all over these houses. let me know. I would love to see images of your stash! 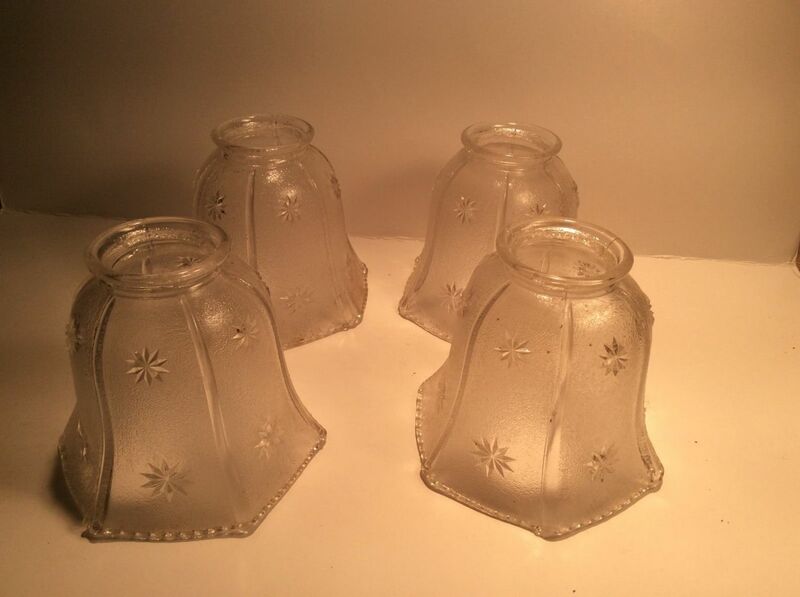 i just wanted to tell you that the star pattern glass shades you have were made by the Imperial glass company of Bellaire, OH. Circa 1910. They were also made in golden iridescent, which would look neat in your house. Keep up the good work!